A game changing U.S. Supreme Court term drew to a close on Wednesday with a bang, actually two. First came a landmark decision in Janus v. American Federation of State, County and Municipal Employees(AFSCME). In deciding in favor of the First Amendment and worker freedom, the High Court overturned a 41-year old precedent that had forced unwilling workers to financially support public sector unions. Mark Janus is an Illinois state employee who objected to being forced to pay ‘agency fees’ to a public-sector union for them to negotiate, or engage in collective bargaining, on his behalf. Janus argued that when public sector unions enter into negotiations with the government it is inherently political activity because of the impact those negotiations have on public policy. He contended that requiring him to pay agency fees to support the unions’ negotiations amounted to compelled political speech and association, in violation of the First Amendment. In a 5-4 split decision, the Supreme Court agreed, and went one step further, holding that public workers post-Janus would have to opt-in to union membership or agency fees. In other words, public sector unions will not be permitted to keep workers that prior to Janus were forced to pay agency fees on the books in hopes that they do not opt out. In many ways, the Janus decision should not surprise. But for the untimely death of Justice Antonin Scalia, a similar opinion would have likely been handed down two years ago in a case called Friedrichs. What’s more, this Court had already signaled a renewed appreciation for First Amendment protections against compelled speech and association in two prior cases this term, one involving a now-famous wedding cake and another involving a California law that required crisis-pregnancy centers to advertise state-subsidized abortions. The direct impact of the Janus ruling on Mississippi workers may be slight, but nationally it represents a sea change. There are 22 states that presently do not have “right to work” laws that provide workers the ability to choose whether to support union activity. Because of Janus all states have effectively just become “right to work” for government employees. There are some 5 million government workers who pay dues or agency fees to unions. Theoretically, all 5 million could decide not to opt back in. 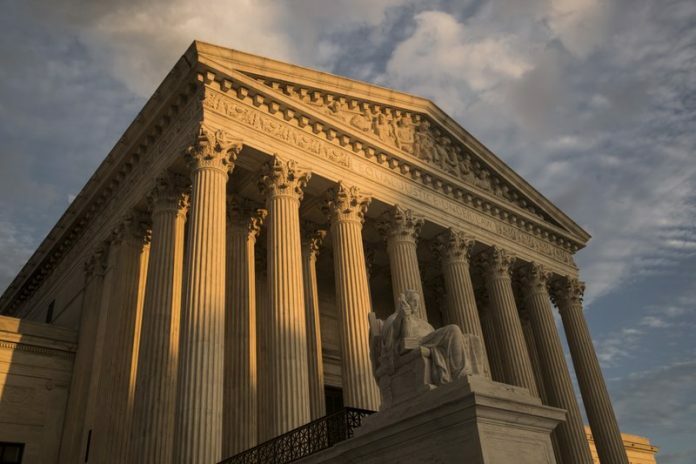 The decision, of course, sparked outrage among some ‘forced unionization’ proponents like the AFL-CIO, who nonsensically claimed the Supreme Court had attacked workers and public sector unions to benefit corporations. These accusations don’t pass the smell test. The Supreme Court did not rule against workers in Janus. It ruled in favor of a worker who did not want the money he earns to be forcibly taken by a union and used for purposes he doesn’t believe in. The Supreme Court did not rule against unions in Janus. Unions will simply be required to do what every other group must do to collect dues: prove their value to members. Lastly, there were no corporations involved in this decision. It was limited to public sector union. Claiming this is somehow about corporations only approaches making sense if groups like the AFL-CIO are admitting they use public sector union dues and fees to support politics hostile to private business. In a term that saw a series of significant decisions, Janus may be the most consequential. On the heels of the decision came another momentous announcement, the retirement of Justice Anthony Kennedy and the impending nomination of a replacement, presumably in the mold of Justice Neil Gorsuch. Justice Kennedy had a long and distinguished career dating back to his nomination in 1988 following the ‘borking’ of Robert Bork. Looking forward, President Trump now has the opportunity to cement for a generation a Supreme Court that respects and preserves constitutional rule of law. a Christmas, birthday, and Super Bowl wrapped together in a pretty present and served with a side of Blue Bell ice cream kind of good day. Russ Latino is the State Director of Americans for Prosperity. He can be contacted at [email protected].